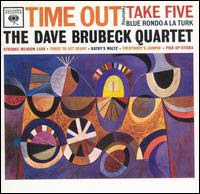 Dave Brubeck is widely known for two jazz standards, "Take Five" and "Blue Rondo A La Turk" from the album Time Out (Columbia), which celebrates 50 years this year. And with 50 years comes the question, "Why is it so relevant?" I'll tell you why. His style is quiet, composed and complex while still illuminating everyone around. Dave Brubeck is a delight at the piano. I have seen him at least six times in recent history and I have met him as well. He is a wonderful person and an even more amazing performer. In my brief (and I do mean brief) conversations with him he did mention this recording and how it came about. Not much is different from what you would read in the liner notes to the album. But it is important to note that Time Out includes some of the most complicated arrangements for the time period. Brubeck specifically wanted to record and album that went beyond the traditional jazz meters (4/4 for those who don't know). An experimental album if you could call it that. He integrated the strange but beautiful 9/8 into "Blue Rondo A La Turk" which makes it so recognizable. Then there is "Take Five." The unbelievable saxophone performance from the hugely underrated Paul Desmond (who on his own never made a bad recording) make this a monumental track aside from the entire album itself. As Desmond and Brubeck have mentioned in the past, the song was meant to be a showcase for the drummer, Joe Morello. It turned into the signature chords and possibly curse for Paul Desmond. "Pick Up Sticks," the closing track on the album, is the highlight for both Brubeck and bassist, Eugene Wright. The building pattern in rhythms and dominance of Brubeck's delivery on piano to the close out the album are perfect for this true masterpiece of American music. There is currently a 3 CD set of Time Out celebrating the 50th anniversary of the album that includes live material and a DVD documentary. I normally don't go for these kinds of things but since I own all three of these separately I can say it is all worth it in one place. The documentary includes conversations with Brubeck--an insightful piece of jazz viewing and of course highly recommended. If you don't want to shell out the 20 something bucks for the 3 disc set there is always the single disc which will end up on repeat in your stereo and on your ipod for years to come. Dave Brubeck tours regularly so you should check him out the next time his in your town. Paul Desmond would go on to create his own quartet which as previously mentioned never recorded a bad record. He recorded some fantastic albums with Gerry Mulligan (sax) and with Jim Hall (guitar) as well as phenomenal recordings with The Modern Jazz Qurartet. There are a number of decent compilations that are widely available including The Best Of Paul Desmond (Columbia) and The Best Of The Complete Paul Desmond (sampler from a larger boxed set). But for specific albums you should also check Pure Desmond (CTI), Two Of A Mind (RCA), Live (Verve) and Take Ten (RCA). 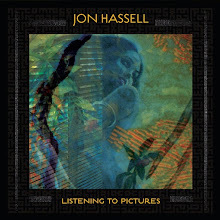 The aforementioned are more available online than at record stores. I hope you check out these master performers at some point soon. It's history we should all share.